Calling all ladies over a size 28!! As a fellow big gal who has been every size from 12 to 30, I understand the hell it can be to shop once you hit size 30+. I won't lie, it's hard, BUT - it's NOT impossible. So I wanted to do some virtual shopping for you and pick out some great pieces you can add to your closet. As you know, I love main pieces that are staples you can keep forever and mix and max and a pop of print/color here and there. And, if you think you will have to pay out the you know what just to look good because you're a bigger gal, trust me, there are great places to snag a good deal. Let me know if you'd like me to do this kind of feature more often. This was my shopping feature in the Feb/Mar 2015 issue of SKORCH Magazine (did you read it yet?? 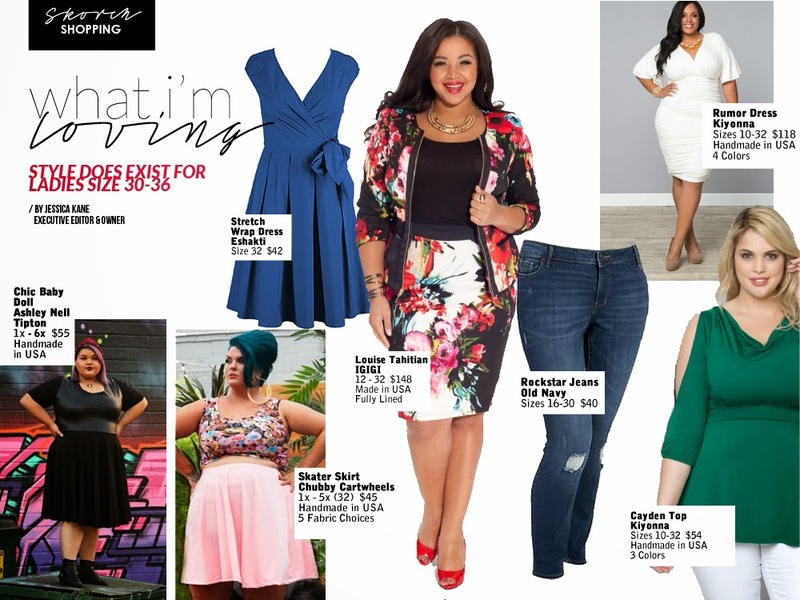 174 pages of free fashion inspiration for sizes 12-36). 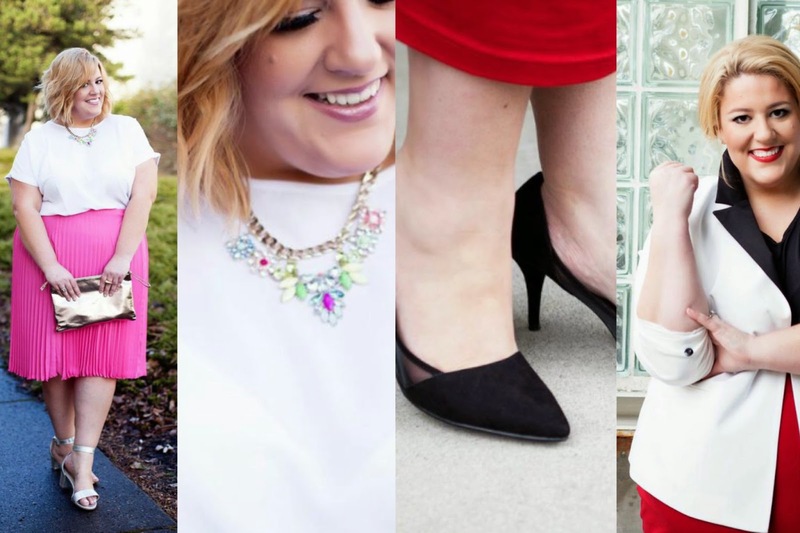 I've teamed up with 30PlusCurves for another collab post to show off style for plus size 30-somethings! 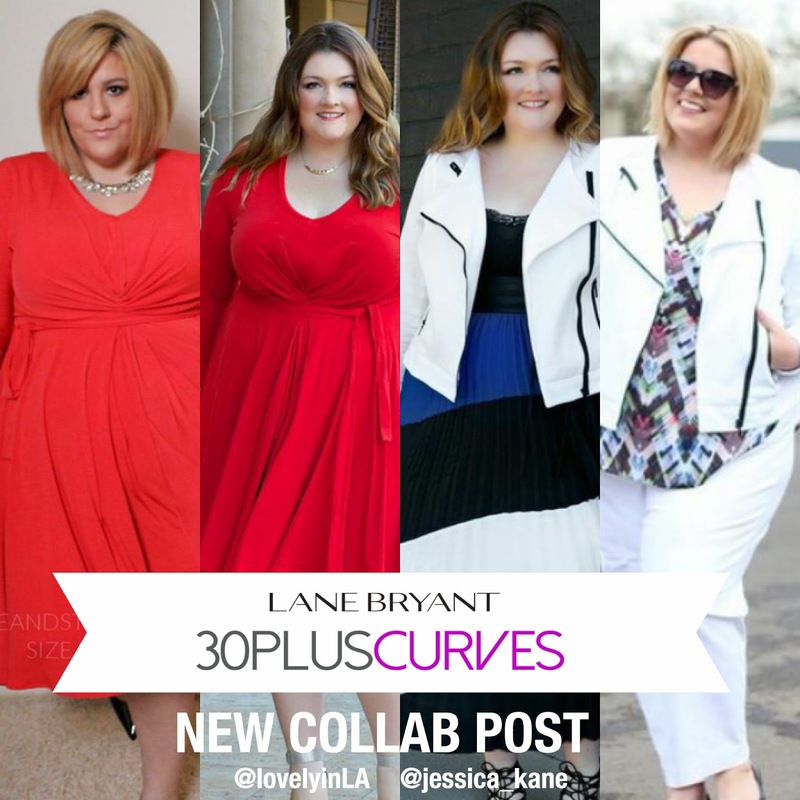 This time we are proudly sponsored by Lane Bryant and thank them so much for supporting this initiative. Rachel and I chose the red dress to show you on our sized bodies (she's a 20) and styled the covet worthy white jersey knit moto jacket. Check out how we styled them and my reviews on the items! I'm so excited to announce a new movement that I was asked to participate in founded by Sarah Sapora of www.sarahpluslife.com and Rachel Richardson of www.lovelyinla.com, geared towards SHOWING women who are over 30 can still have style. 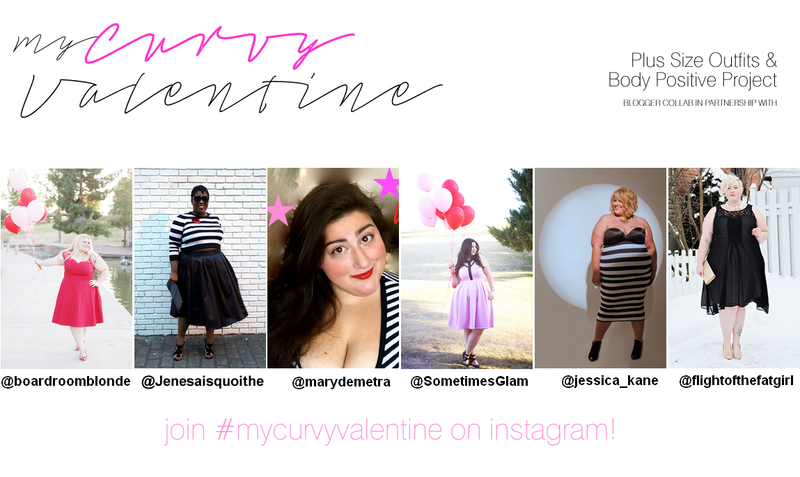 We reached out to a few retailers we love and every one of them agreed to come on board to help show a segment of women that are so often not represented in marketing, even in the plus size sector.